With mono-repo deployments, you often want to run your integration tests after all your services have been deployed. To do this, Seed allows you to configure a post-deploy phase. A post-deploy phase can include a set of commands that you want to run after all your services have been successfully deployed. A post-deploy phase can also be used to run any database migration scripts or any other post-deployment scripts. 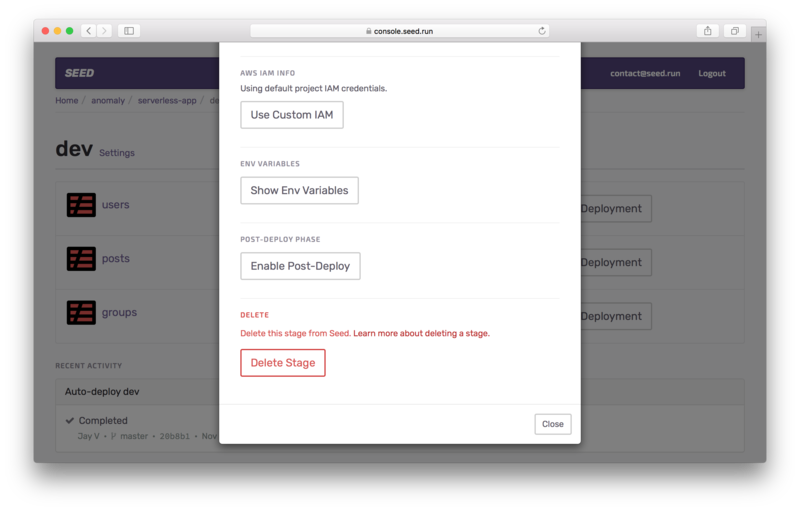 Post-deploy phases are configured on a per stage basis. This means that you can customize what you want to run, in say production vs your dev stage. 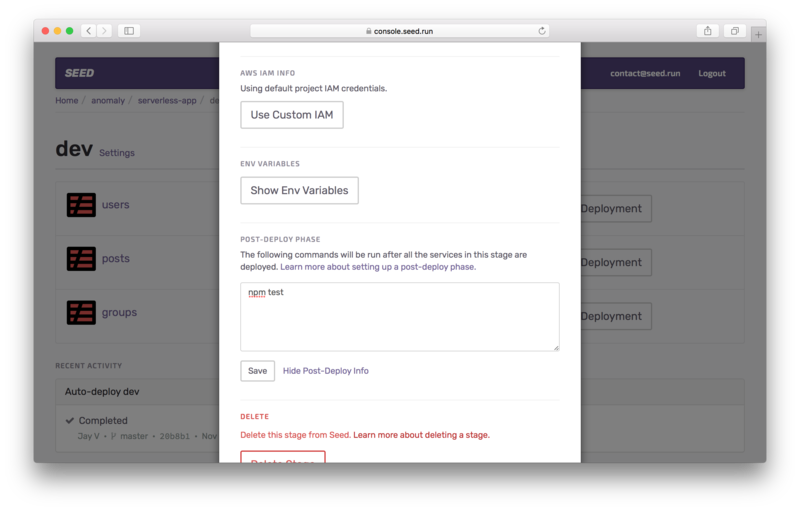 To configure a post-deploy phase, head over to the settings for the stage you are looking to set it for. And hit Enable Post-Deploy. Finally, hit Save once you are done. Now any deployments to this stage will run your commands as a part of the post-deploy phase in the deployment workflow. And that’s it, now you can add your integration tests and post-deployment scripts to your mono-repo workflow.